Russia is not the right market for Nintendo's Wii and its casual, social games, according to a leading games publisher from the emerging market. GFI's head of international licensing and acquisition, Inna Bukatina, told Gamesindustry.biz that the Wii and DS have so far failed to make an impact in Russia. "Firstly people in Russia prefer products that are more universal, that can be used for a number of different purposes," said Bukatina. "For example, a PlayStation 3 or PlayStation Portable can be used for games, or films, and so on. 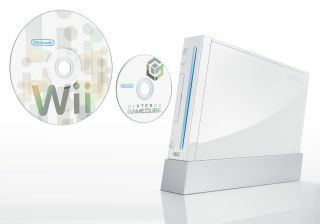 "But the Wii is only for games, and for very specific kinds of games. The gaming society in Russia is pretty young, and I remember when Nintendo attempted to attract more people from older demographics - they put on their last slide a babushka, an old woman, in a headscarf sitting in the countryside and playing on a DS... but actually it's very hard to see that really happening in Russia." Let's not forget that older Russians, unlike many of their same-age counterparts in western Europe, "have… never owned a computer, and probably never worked with a device that's more technical than a telephone." Piracy is also still an endemic problem for Nintendo in Russia. "The DS has a following, but there's a lot of piracy there too, and it's of course much more expensive than the GameBoy," notes the Russian games publisher. Check Gamesindustry.biz for the full interview with Inna Bukatina, for more on the state of play in Russian videogame publishing.